A tour of the old town (Altstadt) part of Oberursel is being offered on Saturday, 1st December, 2018 at 2pm. A tour of the old town (Altstadt) part of Oberursel is being offered on Saturday, 3rd November 2018 at 2pm. A guided walk entitled “Auf den Spuren jüdischen Lebens in Oberursel” (Traces of Jewish life in Oberursel) is being offered on Sunday, 14th October, 2018 by historian Angelika Rieber. The tour starts at 2pm at the fountain on the Marktplatz and costs 3EUR per person. A tour entitled “Das keltische Leben am Fuße des Feldbergs” (celtic life at the foot of the Feldberg) is being held on Saturday, 13th October, 2018 at 2pm. The tour starts at the Taunus Information Centre and costs €5 per person, those taking part should have sturdy footwear. 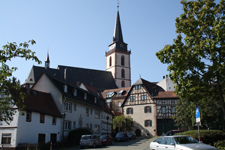 A tour of the old town (Altstadt) part of Oberursel is being offered on Saturday, 6th October 2018 at 2pm. On Saturday, 15th September, 2018 there will be a tour of the area in Oberursel known as “Camp King” with local town guide Sylvia Struck. The tour covers the history of the area from the Reichssiedlungshof in the 1930s, through the time of the Auswertestelle West up to the end of the U.S. Army presence in the town. 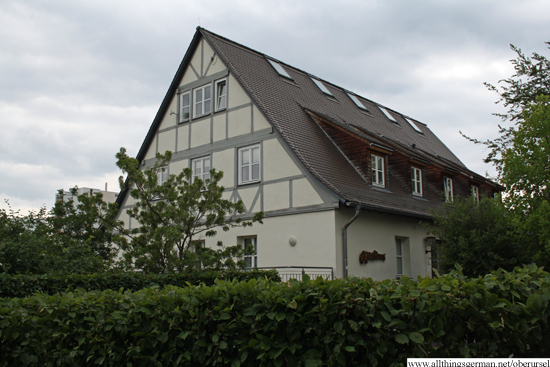 The meeting point is at the “Kinderhaus” in the Jean-Sauer-Weg at 2pm, and the tour costs 3EUR. The nearest U-Bahn station is “Kupferhammer”. A tour entitled “Das keltische Leben am Fuße des Feldbergs” (celtic life at the foot of the Feldberg) is being held on Saturday, 8th September, 2018 at 2pm. A tour of the old town (Altstadt) part of Oberursel is being offered on Saturday, 1st September 2018 at 2pm. A tour of the old town (Altstadt) part of Oberursel is being offered on Saturday, 4th August 2018 at 2pm. A tour of the old town (Altstadt) part of Oberursel is being offered on Saturday, 7th July 2018 at 2pm.